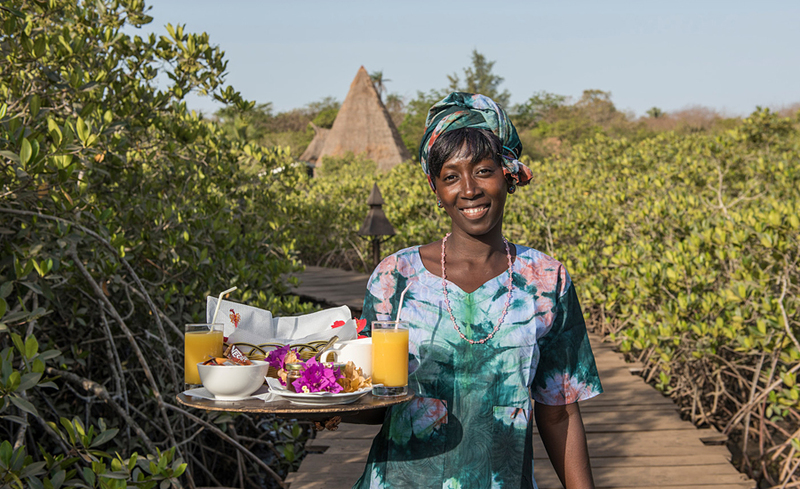 Deep in the forest of Makasutu, by a tributary of the River Gambia, you’ll find a unique and very special retreat, the eco-chic Mandina Lodges. Four floating river lodges, each with a private deck and open air bathroom, look out across the water. Sit back and relax, while watching the world slowly float by in the shape of the occasional fisherman, and listen to the sounds of the forest. 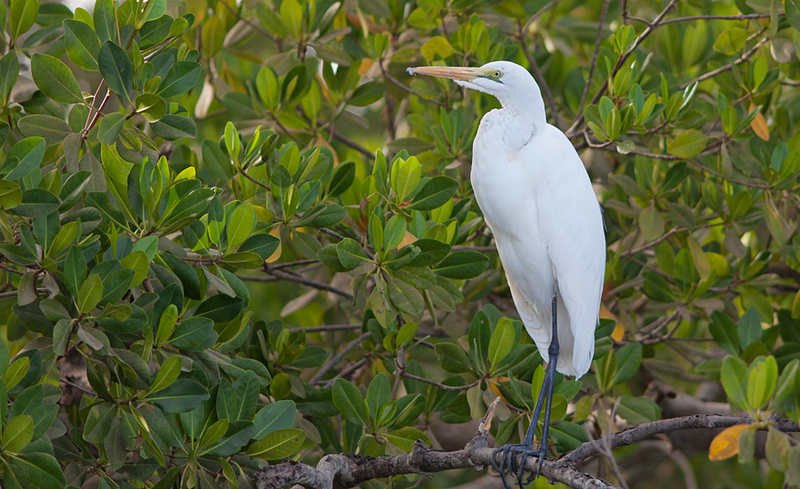 You’ll have the chance to spot some of The Gambia’s 560 plus bird species, but most you’ll simply hear. A little further along the shore, a unique stilted lodge offers an even grander barefoot luxury, with a separate lounge area, as well as an upper floor with open air day room. Four more beautiful lodges are tucked away within the forest, making a total of just nine in the retreat. While simply furnished, all of the lodges are comfortable, with a rustic charm that is hard to beat. A beautiful, large free-form swimming pool surrounded by trees, sits next to the open-air dining terrace. Each day the chef will find you to discuss what you would like for dinner that evening. Each morning, coffee or tea will be brought to you (at your specified time) in a thermos flask, so that you can enjoy your morning cuppa before strolling to the dining terrace for breakfast. 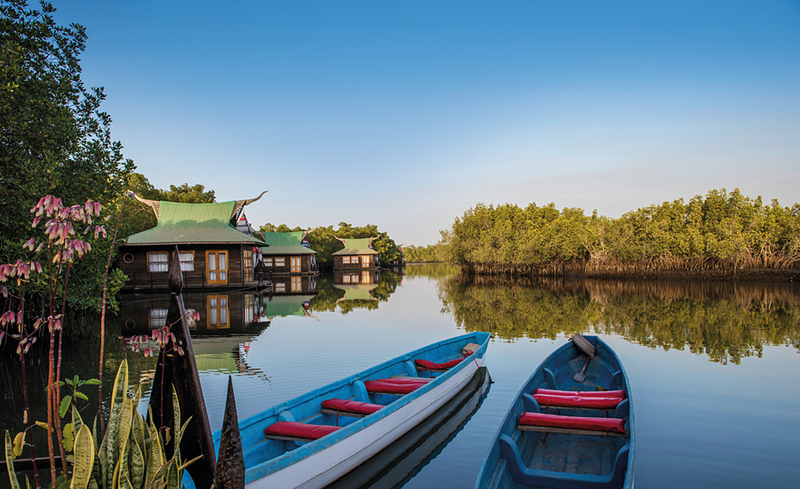 During the day, guides are available to join you on nature walks through the forest or along the mangrove creeks in dugout canoes. Visit the unusual street art project, Wide Open Walls, in one of several nearby villages or take a sunset cruise to see colonies of egrets returning to roost. At some point during your stay you will no doubt come across the troop of baboons that run-a-muck through the forest and sometimes the eco-chic Mandina Lodges themselves. Take heed of the warning that any toiletries left in the open air bathrooms may well vanish as these mischievous visitors pass through. If you wish to explore further afield, The Gambia has many interesting places to visit, from bustling local markets to beautiful sandy beaches, but few can tear themselves away from the charms of Makasutu. 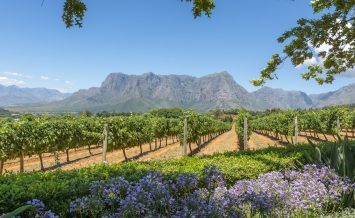 However you spend your time, you are bound to find the laid-back Mandina Lodges a wonderful escape from the modern world, and a chance to reconnect with nature without having to rough it – the best of both worlds. 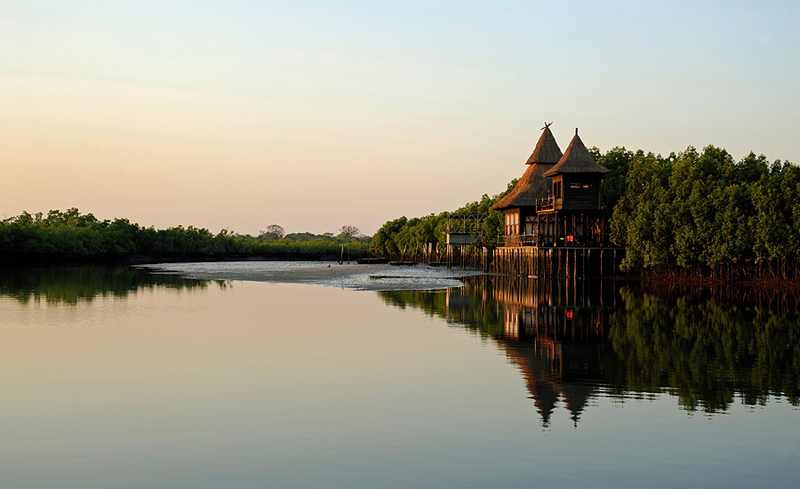 Want to learn more about The Gambia? Pay a visit to The Gambia Experience for more information on holidays to West Africa.